Spinlister, the peer-to-peer global bike share, announced today that they have signed a sponsorship deal with Foundation Cycling New York, a national cycling organization that develops and supports racers to reach their goals. 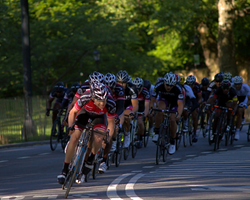 Foundation Cycling will be helping Spinlister expand throughout the greater New York cycling community by encouraging their 50 members and countless supporters to list bikes on Spinlister. Spinlister is encouraging bike owners to list their bikes at http://www.spinlister.com/list to make money and help fellow cyclists in need of a bike. All bikes are insured up to $10,000 against theft or damage. If you would like to rent a bike, please visit http://www.spinlister.com.